In the heart of the Citrus orchards on the riverbank lies Rivercamp, the place to be if you are looking for the tranquil beauty of nature. Rivercamp are situated 20km from Citrusdal and consists of 2 campsites equipped with communal kitchen and private ablution facilities as well as 2 braai areas. Dogs are welcome if you book both sites. The 2 campsites can be booked as a whole for complete privacy. Seeing as the sites are so close to the river we are closed winter time because the river floods the camp site. *NOTE that the kitchen only provides electricity and water. 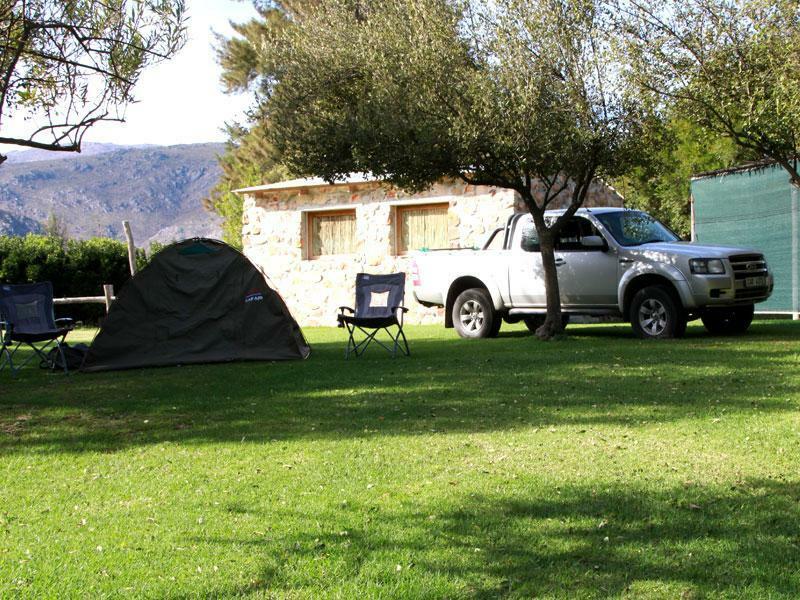 Set at the foot of the Cederberg Mountain, 7km from Citrusdal, Bosrivier is the ideal camping escape destination with only the rustle of leaves and ripples of water as company. It consists out of 5 campsites each with its own private veranda, braai area and ablution facilities. The campsite also offer a communal braai area next to a mountain stream with swim holes, as well as a huge lawn with shading. 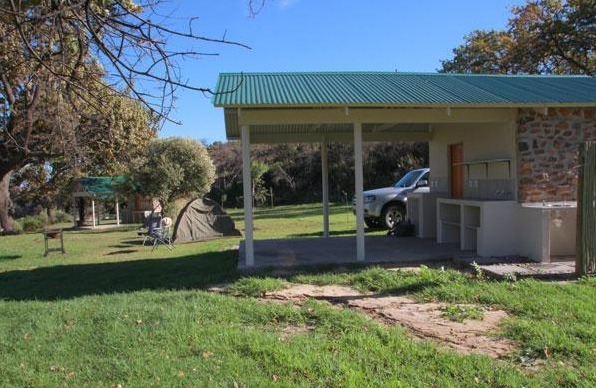 We have 5 campsites – max 6 people per campsite (including children) – if guests do not apply to this, a fine of R500 per additional person is applicable. You are first to book for the weekend and you book 3 campsites minimum, only 1 small dog per plot allowed, rules do apply. Please enquire about this. If you book all 5 sites, dogs are allowed, max 5 dogs. Rules do apply, please enquire. We have security at night, but not during the day. Please lock belongings in the bathroom. If you book and you will be out for the day, please advise us beforehand. *NOTE that only water and electricity is provided. Contact us, as we have a 4×4 route nearby.